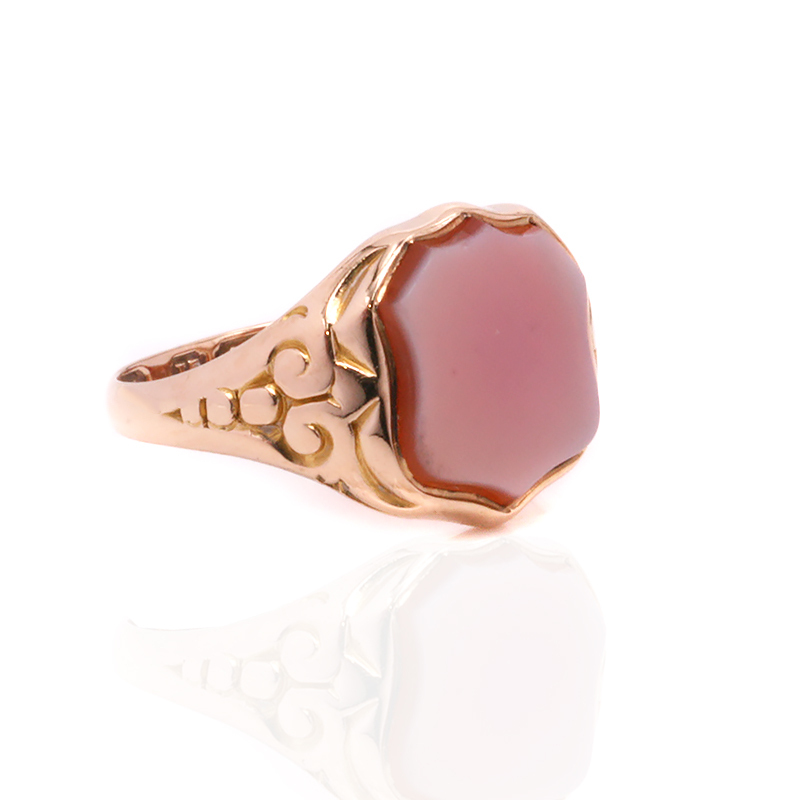 Product code: ES8157 Categories: Antique, Antique Rings, Antique Signet Rings. It is so hard to find a nice gents ring, however this 15 carat rose gold antique sardonyx signet ring made in 1868 is just perfect. The history and use of signet rings goes back as far as 4,000 years ago, and this one is set with sardonyx. From the quartz family, sardonyx was a popular gemstone to put in signet rings as not only is it a durable stone, but if one chooses to, it can be engraved with initials or a family intaglio. The rose gold in this ring has such a lovely warm colour that matches so well with the sardonyx and this will look perfect on the hand. Measuring 13.8mm by 12.8mm this ring also has beautiful hand engraving on the shoulders that adds to the charm and character of this ring even further. 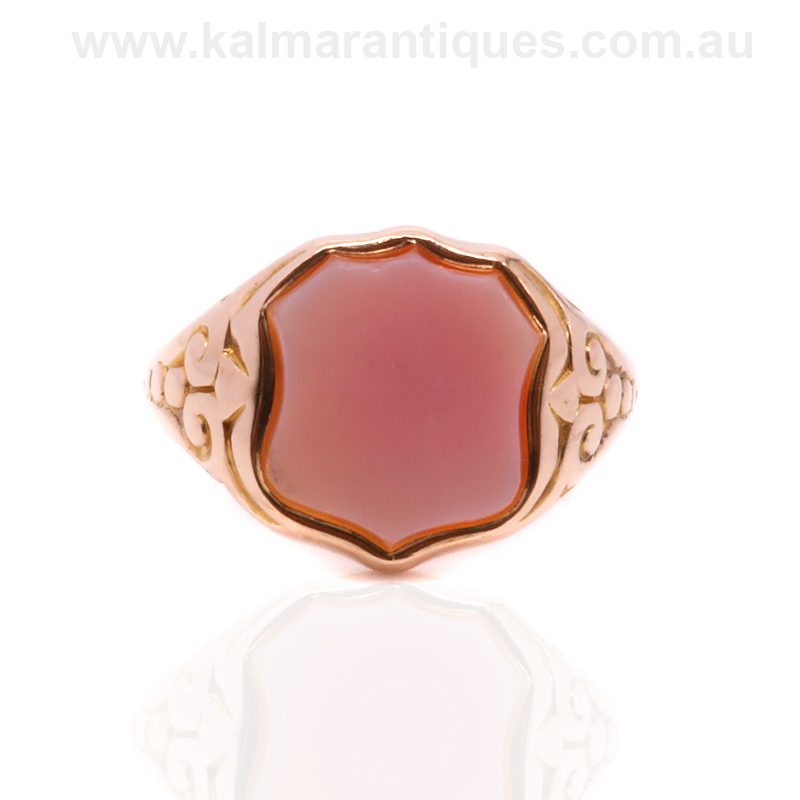 Made all the more amazing by being 150 years old, this antique signet ring is just perfect.